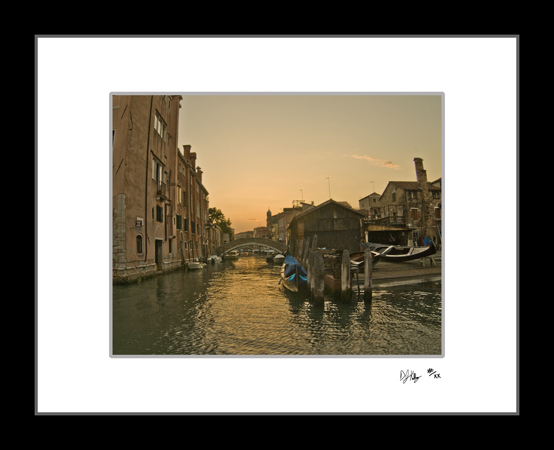 This fine art print captures one of the gondola boatyards in Venice, Italy in the early morning . Gondola are the unofficial symbol of Venice and are maintained to the highest standards. This boatyard is currently working on one of these most recognizable boats. This photograph captures the early morning light on a peaceful Venice, Italy canal.